Dog Days is a ridiculously cute series but what exactly is it? Is it cute? Is it cuddly? Is it an action packed thrill ride? Will it send you into a diabetic coma from the sweetness? Let these super-cute Dog Days gifs show you! 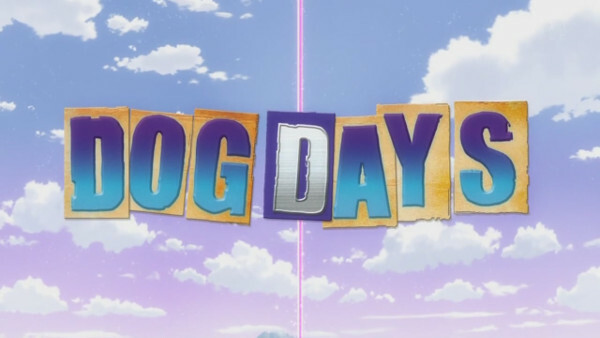 In 2011 the world was introduced to the Dog Days franchise and it hasn't been the same since. Now I realize that you might be looking at me with a confused, tilted head at this point wondering what in the world Dog Days is and why you should care about it. Well, allow my words and collection of gifs to explain that to you right now. First airing in the spring season of 2011, Dog Days is a series about an above average student named Cinque who absolutely loves being athletic. He excels in sports and competes in professional competitions around the world. One day he is magically summoned to the world of Flonyard which is inhabited by people who are half human and half animal. In particular though, he is summoned to the Kingdom of Biscotti to meet with Princess Millhiore, who is a dog girl. The reason why he was summoned is because the Kingdom of Biscotti needs a hero who can fight for them in a special war against the Galette Lion Dominion (who are basically cat people). The war is a very special one though, and is fought with very special rules. There are no actual causalities in the battle and they are treated more like athletic festivals which is right up Shinku's alley, which is why he was summoned to fight for the Biscotti Kingdom. While he is reluctant at first, Shinku is convinced to take part in the war when he learns that the scientist who summoned him doesn't actually know how to send him back home right away. Thus he decides to participate as a way of killing time until he is able to go back home. Over the course of three anime seasons, Shinku will be summoned repeatedly back to the kingdom sometimes bringing his friends with him who are chosen to be heroes for the Galette Lion Dominion and Principality of Pastillage (who are squirrel people). Dog Days is a series that embodies anime at its cutest and yes, its weirdest. The plot and writing is silly, the character designs are ridiculously cutesy and the action is rather tame compared to other series which feature “war” themes. Overall though, this is a series for people who just want to chuckle and d'aww at the very cute designs without having to think too much about what they are actually seeing. I mean really, just look at the gifs which have been featured in this article and try to tell me that there is anything within this series that is even remotely objectionable.